Warning: #1 the following information is for administrator account of the server only. It is not applicable to subscription owner/users or customer accounts, because for those accounts it will be always Power User view. Warning: #2 Information also might be not applicable for servers that have the view locked on the license level. To check that, contact Customer/Partner Success department. Service provider view is available for Web Pro and Web host editions only. There are several product User Interface views available for you. Depending on view used, features and settings may be located in different places or even enabled/disabled. 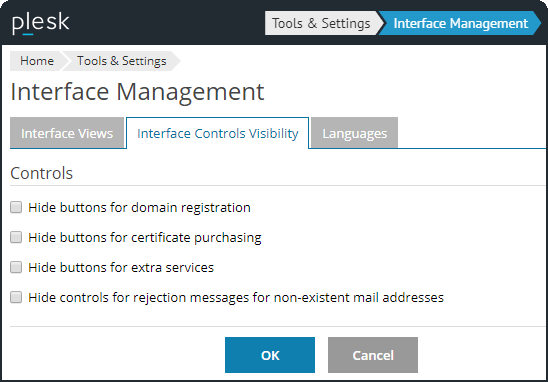 Power User view - this view is intended for enabling a single, simplified interface for server administrators to manage their own websites, e-mail accounts, and other services. Service Provider view - this view offers interfaces for use by the server administrator, resellers, and hosting users. 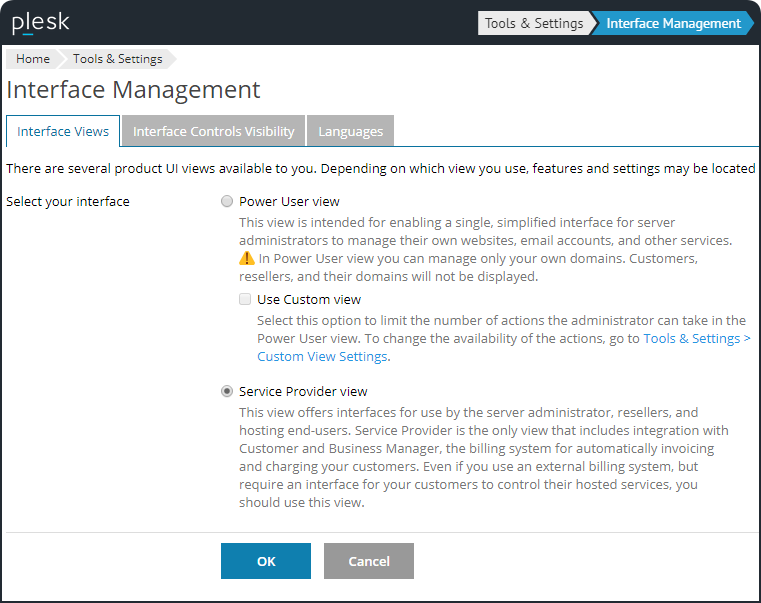 To change UI in Plesk click Change view at the bottom of the page and select Service Provider view/Power User view. Note: Plesk administrator cannot change the view to Power User view if at least one reseller or customer exist in Plesk. Log into the server as a root user over SSH.